Speaker cables run up the budget quickly. Although one might say they’re cheap, they’re only cheap if you’re covering a short distance. For outdoor speakers, it’s easy to imagine needing speaker cables running up to 30 feet or more. But custom speaker cables can be much cheaper. Even though there are budget-friendly speaker cables out there, taking the time to create your own is worthwhile. Although it’ll take time making a speaker cable on your own, it’s a worthy time investment because you’ll understand how speaker wires operate. If something were to happen to your custom speaker cables, you’d know which specific parts were affected. If we really think about it, what do you really get when you purchase pre-made speaker cables? Is There An Actual Difference When Purchasing Speaker Cables? 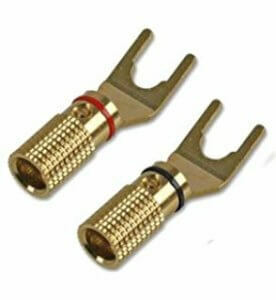 Besides being pre-made, there are differences to marketplace speaker cables. The ones we will demonstrate in this article will be budget-friendly. This means we’re going to ask you to purchase equipment, but don’t expect anything flashy. To be practical, let’s look at some “high-end” speaker cables on Amazon. Everything from the wire gauge to the connector is the same. The difference in quality is only meant for people who are deep audiophiles and who want customization over their cables. The DNA helix design where you twist your wires together is the same one we’ll show you here. One intangible that’s not mentioned is the peace of mind you get when you purchase speaker cables. Buying a professional speaker wire not only saves time, but you’ll know it’s coming from a verifiable source. But with the information you’ll be getting here, you won’t need to buy speaker cables. Honestly, you’ll probably have more fun trying to build your own speaker cables instead. The length of your speaker cables is subjective. We don’t know how big your backyard or patio is. Only you can find out that information. What we can provide is resources on deciding which patio speakers or Bluetooth speakers you want, but that’s jumping in front of the gun. We wanted to start with length because it gives you a better idea of what you’re working with in terms of tools and budget. The higher the budget and resources to make the connection happen. Another reason why you need to know speaker wire length is due to resistance. When a speaker wire gets up to 50-100 feet, sound quality drops, and resistance increases. If you know your speaker wire is going to be that long, you need to find the right type of wire gauge. Why do speaker wires need more thickness when they reach a certain point? Because it allows electrons to move more freely. Its the same concept with a hose. If you press your finger on the hose, then water won’t come out smoothly. Let go, and you’ll see the water come out with no resistance. The downside to purchasing thicker wire is the cost. Naturally, the more material you purchase (thickness) equals more dollars. Everything we’ve talked about so far is about the internals of speaker cables. The third most important factor to planning for speakers are the speaker jackets/cable. Just like speaker cables in the marketplace, conduits also have a marketplace ranging from cheap to expensive. A basic cable is one with polyvinyl chloride insulation. Another option is silver-plated copper. One reason why a lot of people prefer silver-plated copper is that it transmits musical information over a wide frequency well. This means it carries high and low undertones. A superior conductor is oxygen-free copper. The difference with oxygen-free copper and other speaker wire conductors is the insulation it contains. Polyethylene is a superior insulator in comparison to polyvinyl chloride. Its composition is a bunch of small bubbles sealed off from each other. This composition allows polyethylene to become waterproof. But this is only the tip of the iceberg when talking about Polyethylene’s qualities. You know how movies have different themes? Well, the theme for Polyethylene should be versatility and resiliency. To elaborate, let us talk about what it fights against. It fights against bacteria like mildew and mold. Its resiliency stems from its resistance against solvents. For those who didn’t pay attention in chemistry; solvents mean a liquid which can turn into another form such as a solid, gas, or another type of fluid like water turning into honey. Another example of a solvent is bird poop turning to mud. If you were to directly bury your wires underground, polyethylene would be really useful because of the dirt surrounding it. If it rains, the mud wouldn’t penetrate the insulation. We could go on and on about how great polyethylene is but we don’t want to get too technical. It’s more important that we talk about the other components to plan for. Speaker wire gauge is a constant topic on this site. Gauges have an inverse relationship with size. For example, the lower the gauge number, the higher the number of thickness goes for the wire. If you were to get a higher gauge number, the lower the size of thickness for the wire. Assuming your cable is going to be long, it’s highly recommended you go with thicker wire. Remember that little lecture we had on length and resistance? We know you did because you’re going to need to apply the same concept here. The reason why we want thicker gauges for longer cables is because of the electrons. We want those bad boys to move freely. If the wire was thin, they’d be constricted! This is similar to fitting a bear in skinny jeans, lots of resistance! Planning for wire gauge is not something you should take lightly, it should be held in the same consideration as length and insulation. This isn’t a big section to talk about. The reason we put this here is to mention one thing. The more strands you have, the more flexible the wire is. If you were to go with the direct burial method, there’s a high chance you won’t be moving it. But it does come in handy for those moments you need to adjust it because of external factors. And with outdoor speaker cables, that can come at any time. Now we need to talk about the ending. We don’t literally mean the end of this article, but we mean the end of a speaker cable. And the variety of connectors out there gets dizzying. 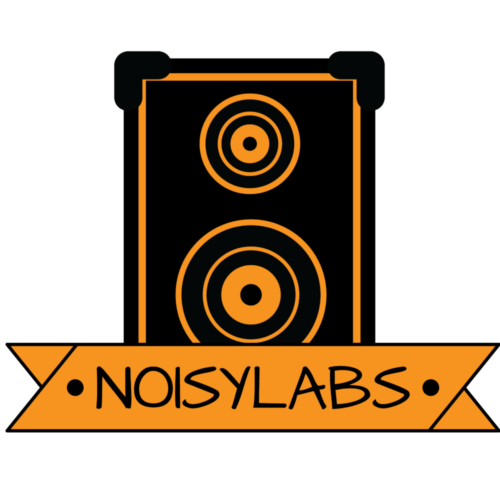 There are so many audio brands that push out similar products in the audio space, it’s overwhelming. But we believe connectors shouldn’t be confusing. They’re an integral part of your speaker cable and we’re here to help you narrow down the list of what to pick. 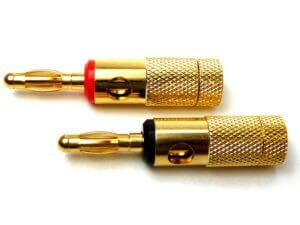 Two examples of speaker cable terminators you need to use are banana connectors and spade connectors. A “banana connector” is a single-wire shaped like a four-leafed spring which connects speakers to amplifiers. You might not recognize it because of the name, but we’re sure you recognized it once you saw the picture above. Its been around since the 1920’s! Their use is common for not just audio equipment, but entertainment products. The “spade connector” is what you’d picture it to look like. The very tip looks like a spade, and its shape is a “U”. One other connector that’s not as common as the other two above is the “BFA connector”, or as its alternately known, deltron connectors. Although it’s not as wide-spread as the other 2, there are specific brands whose product works with BFA connectors. Last but not least is the pin connector. These pin connectors have terminals which have springs in them. Pin connectors are used for equipment which have spring clips. Both spade connectors and banana connectors work with binding posts. This is good to know for planning because you don’t want to get the wrong connector for your equipment. Figuring out what’s correct, and what works best amongst the connectors makes a tremendous difference in sound quality. All 6 points here are the fundamentals of planning your custom speaker cables for outdoor speakers. Now let’s focus on specific tools you need. It’s obvious why you need this. If you buy a roll of speaker wire then it’ll be easier to setup your speaker cables because there won’t be any shortage of wire available. Apart from that is the fact that you won’t get tripped on any miscalculations. If you happen to have a misstep in wire measuring, then you can always adjust by bringing more wire. 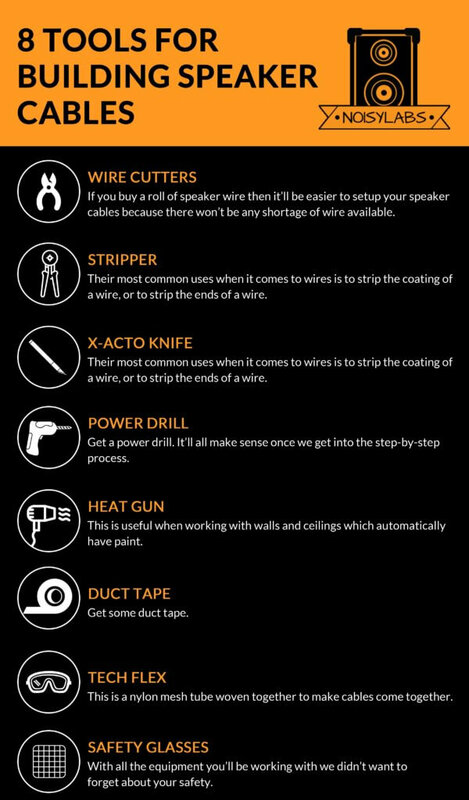 Stripper tools are mostly used by electricians. Their most common uses when it comes to wires is to strip the coating of a wire, or to strip the ends of a wire. Stripping off the end is meant for terminal use. Whether you’re using banana connectors or spade connectors doesn’t matter. Stripping off the end lets you pick and choose which terminal you want. The next item you’ll need is razor sharp. It’s great for cutting through small areas, and guess what small area you’ll be cutting? The X-Acto is like the jack of all trades when it comes to knives barring swiss army knives. Their general purpose use works well with foam, cutting cardboard, plastic, and more. For our particular case, we want to use our X-Acto knife to cut the wire in half. Not only are these knives versatile, but they’re made with exact precision which means they cut with detail, and are razor sharp. Next up is one tool you’d probably think you wouldn’t use for this project. And that is the power drill. Get a power drill. It’ll all make sense once we get into the step-by-step process. What’s more surprising besides the fact we’re using a heat gun is the fact we can use it for 2 different reasons. But before we talk about that, let’s talk about what a heat gun does. By informing you of its uses you can further decide what else you can do with it regarding custom speaker cables. Its first use we can think of is paint stripping. This is useful when working with walls and ceilings which automatically have paint. But what about the outdoor users out there? A heat gun would be useful when the paint off the wire is chipping off. Being able to strip off all that paint and re-decorate it is great for decorum. For example, if you have white wires and they’re chipping, use the heat gun, strip off the paint, and replace the old paint with something that matches your patio. 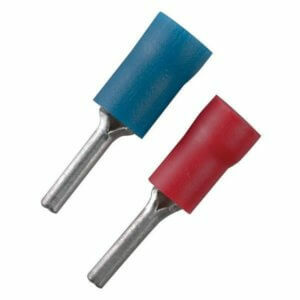 Another practical example is the use of heat guns for adhesives. If you plan to stick your custom speaker cables outside, make sure the glue around the wire solidifies so it won’t wiggle around. Those 2 situations were just practical examples of what heat guns are useful for. The next section is a cheaper option for those who can’t afford a heat gun. Anything that emits heat technically works, but a lighter is convenient. pressing a button is easier compared to lighting a match. Thus we suggest obtaining a lighter. Not much to explain here. Get some duct tape. 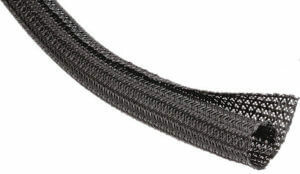 This is a nylon mesh tube woven together to make cables come together. Its suppose to make cables bundle up neatly for appearance or convenience. The way it works is similar to an arm sleeve going over an arm. Its suppose to be an easy fit while providing a greater aesthetic. But the looks aren’t the only thing we want it for. Imagine having a bunch of wires you have to move whenever you plan to move your game console. This includes the controllers, power output, and audio/visual cables. Wouldn’t it be easier to just place all the equipment with wires into one storage place? That way, whenever you move your console, it’ll be done in one fell swoop. The tech flex acts as the storage place which all stems from convenience. Some pointers to keep in mind when using tech flex; leave room for some of the cable to be exposed. An estimate of 3-5 inches of speaker cable should be left after the tech flex ends. This allows the connectors to breathe. Taking preventative measures for your equipment to last longer is key for a stable speaker cable. This is perfect for outdoor speaker cables. Its design is meant to protect from the environment and insulate speaker wires. And, if you can’t tell, it’s shrinkable. With all the equipment you’ll be working with we didn’t want to forget about your safety. But we wanted to give a quick reminder. Enough of all the preparation now. Let’s talk about building this speaker cable step-by-step. Remember our first step in our planning phase? If you don’t, it was about figuring out how much wire you needed to cover the distance between speaker and amplifier. Once you’ve done the work to figure it out—proceed to step 1. After figuring out the amount of length you need, use the wire cutters to cut it. We prefer you do this on a flat surface where you can concentrate. Anything besides a flat surface will make it harder for you to lay it flat. Taking the X-Acto knife you’ve purchased, carefully cut the speaker wires in half vertical-wise. DON’T cut it in half by its width but go from its length. It should take you longer, but the reason we’re splitting it by its length is to twist them around each other later. Having more sets of wires together allows the wires to handle more current and provide more flexibility for the wires. Having alternate colors for each set is also a nice touch if you’re someone who wants a little style into their projects. We’re going to do a little something something with them later ;). Using the wire cutter to take off the insulation takes dexterity. You want to be forceful enough so you can take the insulation out, but you don’t want to harm the wire at the same time. The trick is to push down on the insulation so a part of it separates from the wire. Pushing down on the insulation is similiar to jumping down on a trampoline and having the other person on the other side jump up because of you. But instead of having a person jump, we’re getting the insulation to jump up. Take the 2 sets of wires we told you to split in step 2 and twist them together with your fingers. You don’t want to twist your wires more than 4 feet or else you’re going to need another person to help you. But then again, this is probably going to be a long wire considering it’s meant for the outdoors so have someone on standby to help you. Once you’ve braided the 2 sets of wires together, take your big wire and place it inside the power drill. Insert the braided set of wires inside the circle of the power drill and remember to twist the opposite direction of the way you braided the wires. The whole point of the power drill is to help you twist a long set of wires together. Having another person ready to help you allows you to have another person on the other end of the wire to hold it up while the power drill twists the wires together. If you were to twist the wires together with a power drill while it’s laying on the floor, it’ll ruin the pattern of braiding. Whatever gauge you use, insert 3/4 amount of speaker wire into it using the wire cutter and stripper tool. Although you can use your hands, we find the wire cutter is more stable making it easier to insert the gauge. Next up is to put the tech flex cover on top of your wires. Tech flex is great cover, especially for outdoor wires. Covering it up on top of your wires is easy to do. You can use the X-Acto knife to cut a certain piece of length you want to cover your wires. But you’ll need another piece of equipment to cut it depending on what type of tech flex you get. Also, it works great against dirt particles might you bury your wires underground. After you’ve placed the tech flex over the cable, you need to place the heat shrink tube for more protection. The key is to use the heat gun so the tubing insulates the wires closely. Make sure to not to overdo the heat gun because you’ll melt the tubing and wires. This part depends on the type of connection you bought. But let’s pretend you got banana plugs because they’re more of the common connectors out there. The common banana plugs have thumbscrews where the speaker wires can be inserted. Use your power drill to take those thumbscrews off. One thing to keep in mind once those thumbscrews are off is to make sure you insert your wires in the correct way. Look out for signs like (+) or (o) to know whether or not you’re putting in the wires correctly. Sometimes banana connectors have retractable parts and in that case, you can just purchase that and purchase the spade tip at another place. Whenever you want to switch from banana plug to spade plug, all you have to do is twist the banana plug off and twist the spade plugin. We didn’t mention all the variables that come with creating custom speaker cables. It’s hard to tell you what to exactly do when there are different connectors and cable wires you can use. But what we’ve provided here is the fundamentals needed to at the very least get started. Reading this will point you in the right direction and will layout a rough game plan on what to do.